On March 9, 2016, the Sandwich School Committee voted to begin a looking for an interim Superintendent, and at the same time, to start a search for a new permanent Superintendent. A subcommittee has been formed to start the interim search; members are Jim Dever, Stephanie Hall and Beth Cummings, subcommittee chair. Following a short discussion, it was determined that School Committee members with terms that expire in May should not be on the interim search committee because depending on the outcome of their reelection efforts, they might not be available to see it through. Kerri Ames and Nancy Crossman, current School Committee chair, are up for reelection in May. The next steps for the school committee will be to choose a consultant to provide guidance for the full search. A consultant will host public forums for the community to share thoughts about our next school leader. The community – parents, teachers, and the community at large – will also have the opportunity to be members of the search team. 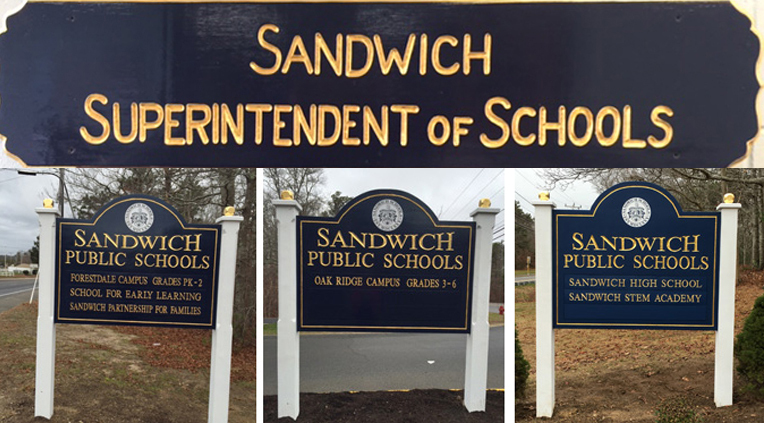 The Sandwich School Committee will keep the community informed as decisions are made. Families are encouraged to watch school committee meetings on Sandwich Community Television – Channel 14, or via the SCT website; to read the Sandwich Enterprise; and to look for updates on Sandwich Learns Together.